One of the hot topics in Q4 is always the budget announcement for next year. WOKI Talk has been incorporated in the market for 10 years time. It is not easy for a company like WOKI Talk to survive in the telecommunication market for 10 years time, perhaps we are moving forward for coming decade. WOKI Talk would also want to start plan what should be the key activities for year 2018. Before we outline all those activities, we would like to listen what our user and reader say. Year 2016 & 2017 is definitely a challenging year for trunk radio and walkie talkie business. We are seeing the instant messenger has dominated the communication market, such as Wechat, Whatsapp, VOIXZ and Zello. No matter how the popularity for instant messenger, however we are seeing there always a market niche for trunk radio and walkie talkie. WOKI Talk has not limited ourselves in supplying walkie talkie, we rather position ourselves as a communication solution provider for our users. This strategy really helps us to gain more exposure to many users. Internally we had outlined some areas how we are going to strengthen the engagement between WOKI Talk and users, meanwhile we also love to listen to our reader what is your expectation for us to achieve. Throughout the experience using walkie talkie, you may face some challenges, you could just write down your pain point in below remark column so that we could come out a sustainable way to improve the situation. Signal coverage is definitely the mandatory condition. WOKI Talk will work closely with the service provider, Maltel Communication, to provide better signal coverage for user. It will be too superficial if you just think signal coverage is the only criteria for judging a best service for trunk radio business. User is always demanding and this is the reason why we always want to listen to user and understand what they want. We appreciate our user or even reader who just get the chance to read this message, you all are welcome to leave your requirement at below so that WOKI Talk could outline our actions to fulfill all the needs. WOKI Talk has been working with many walkie talkie or trunk radio users so that we could advise our users about most suitable device to suit their application. Even we are not the service provider, but our exposure and experience in walkie talkie business will definitely bring advantages to user. Furthermore, we emphasize in service quality. 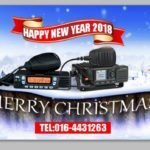 There are many walkie talkie dealer throughout Malaysia, however not many dealers emphasize service quality as WOKI Talk. Write to us about your tele-communication needs and we are pretty sure there always a solution to fulfill your needs!